XU Yuanming, WANG Dong. 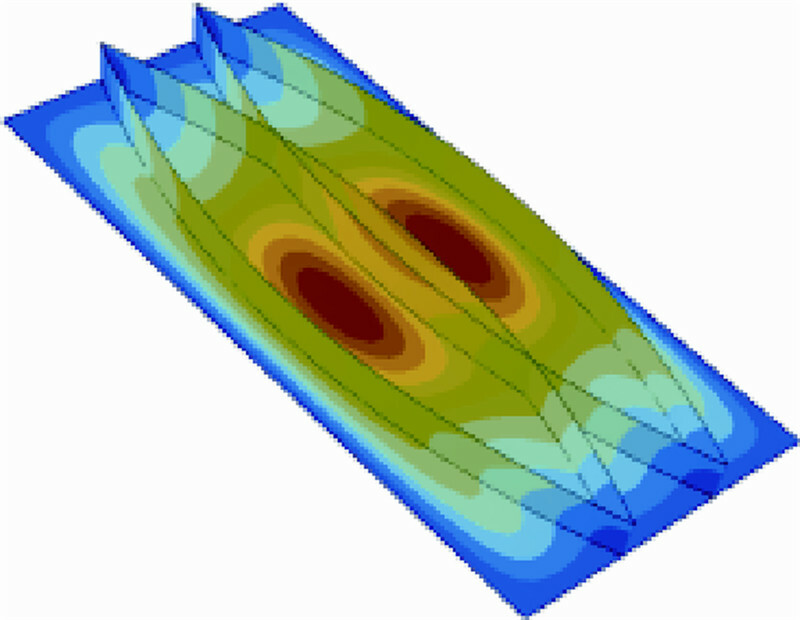 Design and optimization of improving stability of curvilinear blade-stiffened panels[J]. 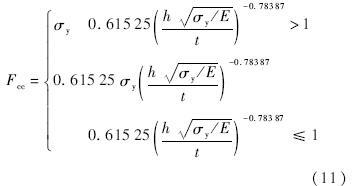 Journal of Beijing University of Aeronautics and Astronsutics, 2015, 41(4): 567-573. Abstract:Stiffened panels are widely used in the aerospace field as a typical structure. 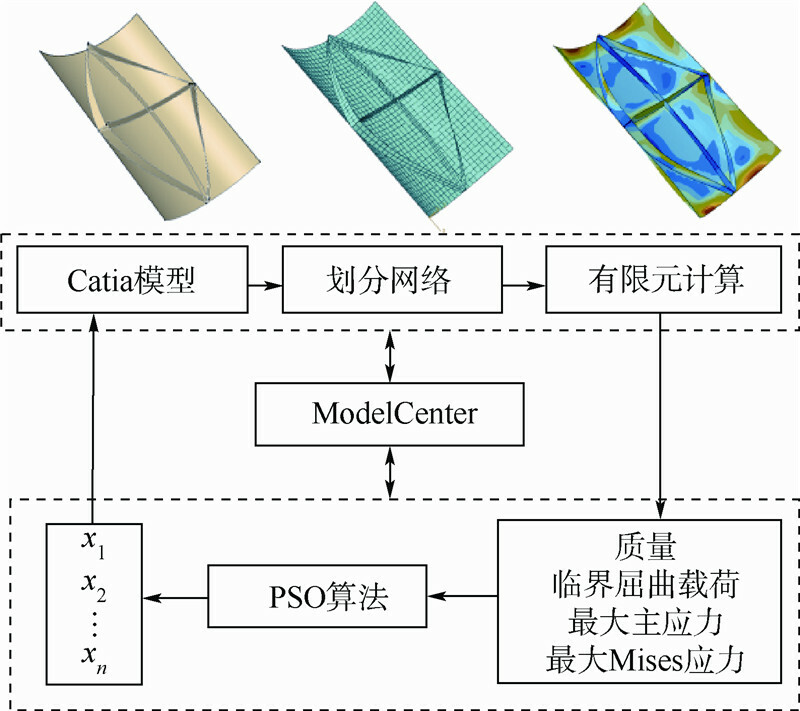 To further expand the design space of straight stiffened panels, an optimization framework for curvilinear blade-stiffened panels was developed based on ModelCenter optimization environment, Catia and Abaqus. 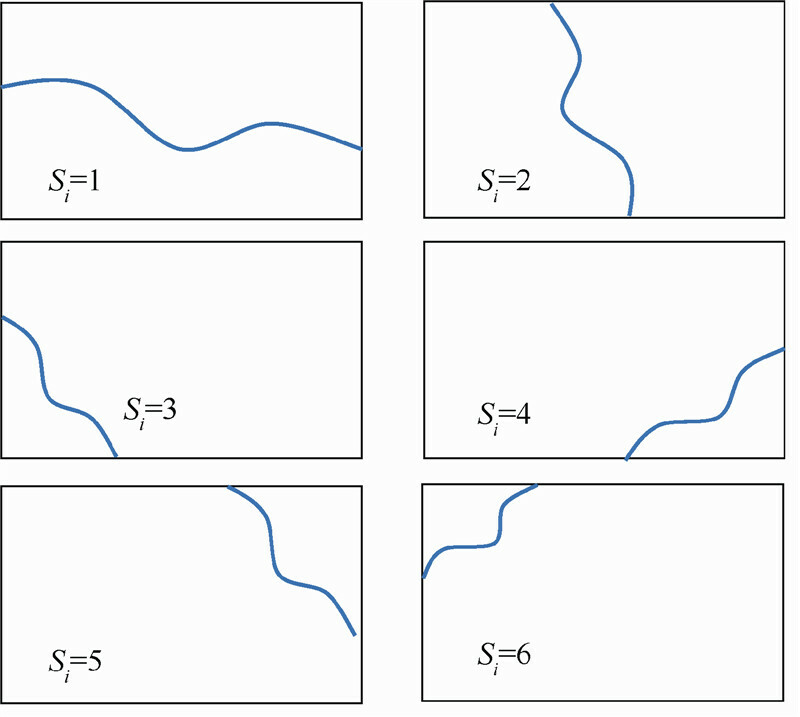 Stiffeners were generated by equally-splitm cubic B-spline interpolation function, which had no limit to the number of parameters, thus providing a sufficiently large optimization space for curvilinear stiffened panels. On the other hand, two methods were taken to load on stiffeners including collecting loaded edges of stiffeners and making stiffeners perpendicular to panel edges and some new configurations of stiffened panels were proposed. 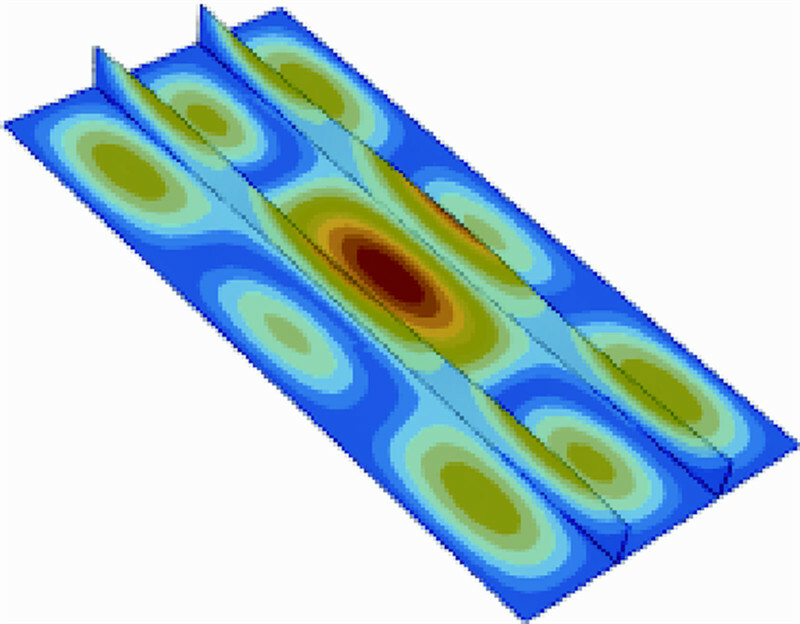 Optimization results show that for single-axle load, curvilinear stiffened panels in comparison with straight stiffened panels make very small stability improvement. But for multi-axial load, curvilinear stiffened panels have better stability than straight stiffened panels. 文献[3, 4, 5, 6, 7]曾对曲筋加筋板的优化设计做过研究并提出了优化系统EBF3PanelOpt.研究表明,对于T型筋,直筋加筋板是最优方案,而对于曲线片型筋条,曲筋加筋板相比直筋加筋板获得了更好的稳定性.但由于EBF3PanelOpt框架中加筋板筋条设计参数数目固定,无法为曲筋加筋板提供更广阔的优化空间.另外,EBF3PanelOpt框架没有施加载荷于筋条上,这样便无法保证筋条的稳定性. 设定x向载荷Nxx=1 N,y向载荷Nyy和剪切载荷Nxy为0.假定筋条端点给定,取筋条高度hsi,筋条厚度tsi,曲筋斜率f ′1s和f ′1e为设计变量,f ′2s和f ′2e根据对称性由f ′1s和f ′1e算出.2139铝合金材料属性如表 1所示，设计变量约束范围如表 2所示，单轴载荷下的优化结果如表 3所示.其中，ν为泊松比，σ为屈服强度，n为迭代次数. 张柱国, 姚卫星,刘克龙.基于进化Kriging模型的金属加筋板结构布局优化方法[J].南京航空航天大学学报,2008,40(4): 497-500. 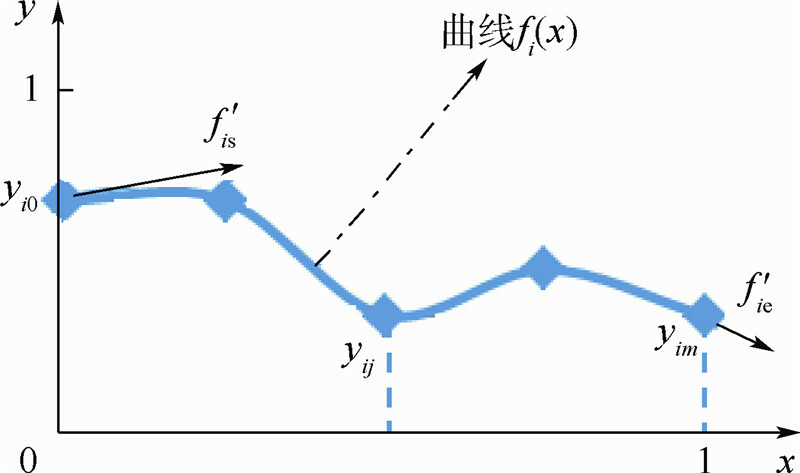 Zhang Z G,Yao W X,Liu K L.Configuration optimization method for metallic stiffened panel structure based on updated Kriging model[J].Journal of Nanjing University of Aeronautics and Astronautics,2008,40(4):497-500(in Chinese). 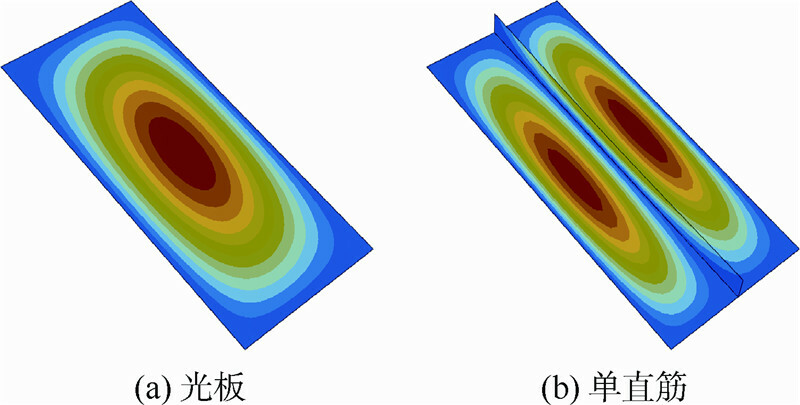 Hao P, Wang B,Li G.Surrogate-based optimum design for stiffened shells with adaptive sampling[J].AIAA Journal,2012,50(11): 2389-2407. 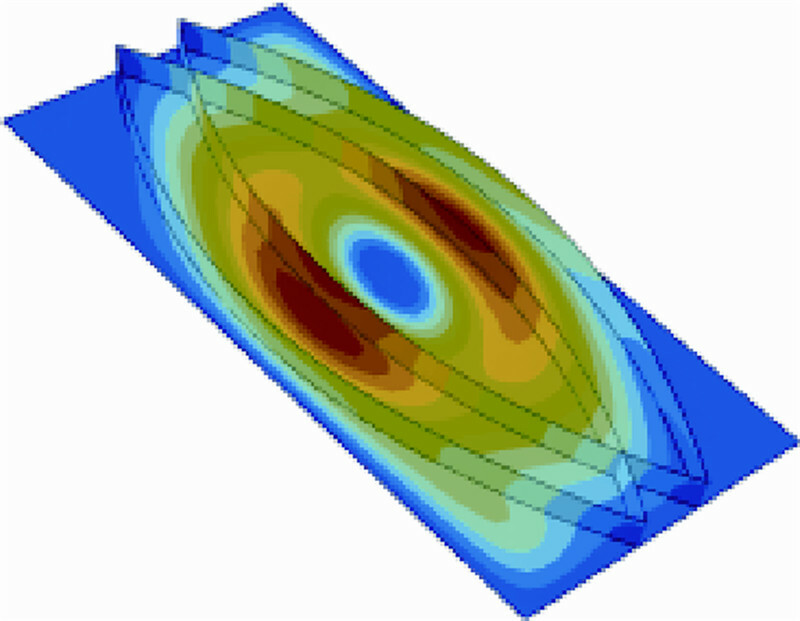 Mulani S B, Slemp W C H,Kapania R K.EBF3PanelOpt:an optimization framework for curvilinear blade-stiffened panels[J].Thin-Walled Structures,2013,63:13-26. Mulani S B, Havens D,Norris A,et al.Design,optimization, and evaluation of Al-2139 compression panel with integral T-stiffeners[J].Journal of Aircraft,2013,50(4):1275-1286. Kapania R K, Li J,Kapoor H.Optimal design of unitized panels with curvilinear stiffeners[C]//AIAA 5th ATIO and the AIAA 16th Lighter-than-Air Systems Technology Conference and Balloon Systems Conference,2005,3:1708-1737. Dang T D, Kapania R K,Slemp W C H,et al.Optimization and postbuckling analysis of curvilinear-stiffened panels under multiple-load cases[J].Journal of Aircraft,2010,47(5):1656-1671. Mulani S B, Duggirala V,Kapania R K.Curvilinearly T-stiffened panel-optimization framework under multiple load cases using parallel processing[J].Journal of Aircraft,2013,50(5):1540- 1554. 罗煦琼. 一维搜索问题的三次B样条插值法[J].浙江科技学院学报,2008,20(1):1-3. Luo X Q.Cubic B-spline interpolation for one-dimensional search method[J].Journal of Zhejiang University of Science and Technology,2008,20(1):1-3(in Chinese). Özakça M, Murphy A,van der Veen S.Buckling and post-buckling of sub-stiffened or locally tailored aluminium panels[C]//25th Congress of the International Council of the Aeronautical Sciences 2006.Red Hook,NY:Curran Associates Inc,2006,4:2367-2382. 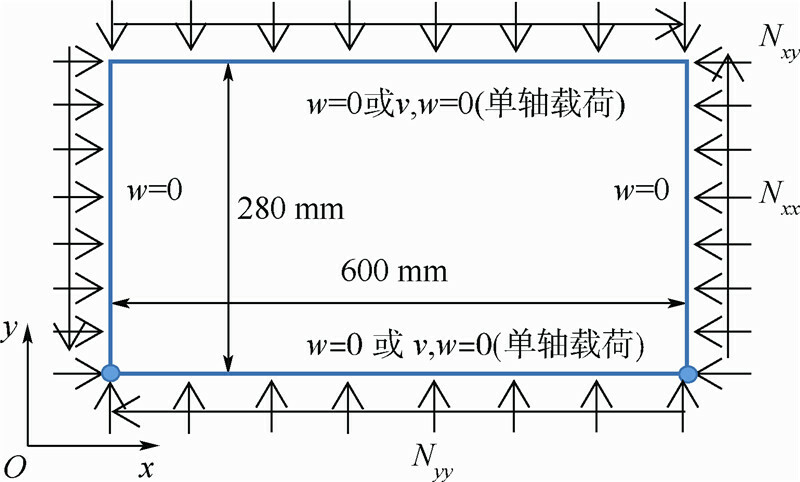 Journal of Beijing University of Aeronautics and Astronsutics, 2015, 41(4): 567-573.